Comment: I would like to get an estimate for need the draipory repaired. Comment: The want that adjust the tilter assembly has fallen off. I need to have the tilter assembly replaced. 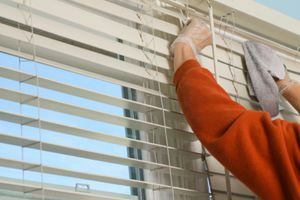 Please reach out to me so we can see what can be done about my blinds. San Jose Window Treatment & Covering Companies are rated 4.80 out of 5 based on 448 reviews of 14 pros. Not Looking for Window Coverings Contractors in San Jose, CA?